There are three main music television networks in Vietnam -- MTV Vietnam, YAN TV, and Yeah1 TV. Launched in 2011, MTV Vietnam is the new kid on the block. The channel features international music, news, and reality programs. MTV Vietnam's strength lies in the power of the MTV brand as one of the world's top youth entertainment providers. #Forever Young #Forever Yan - "Nghĩ trẻ - Sống trẻ"
Launched in 2009, YAN TV is a TV channel in Vietnam that specializes in Vietnamese music and youth entertainment. YAN stands for Yêu Âm Nhạc. With roots in the online music lovers (Yêu Âm Nhạc) forum community, YAN TV has a strong online and mobile presence. Its Facebook page in particular is quite popular with the Vietnamese youth. Being launched in 2008, Yeah1 TV is the oldest of the three major Vietnamese music networks. 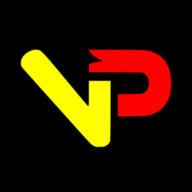 It was one of the first channels in VN to focus on broadcasting programs for a teenage audience. Broadcasts include TV shows about entertainment, music, culture, sports, life, and education. I guess you can't teach an old dog new tricks because Yeah1 doesn't have a theme song for its music channel. They do, however, have the best YouTube channel for finding new Vpop music, IMO.